PHIL 2403 Introduction to Philosophy and Ethics and PSYC 2003 General Psychology are required. All programs are approved by the Arkansas State Board of Nursing and Accreditation Commission for Education in Nursing (ACEN). The ACEN is a source of information about the program and invites third party comments as a component of accreditation. The ACEN may be reached at 3343 Peachtree Road, NE, Suite 850, Atlanta, Georgia, 30326, or by phone at 1-404-975-5000. Be eligible for admission to Southern Arkansas University. Admission to Southern Arkansas University does not mean automatic admission to the nursing program. Have transcripts evaluated by nursing faculty if transferring from another college or university. 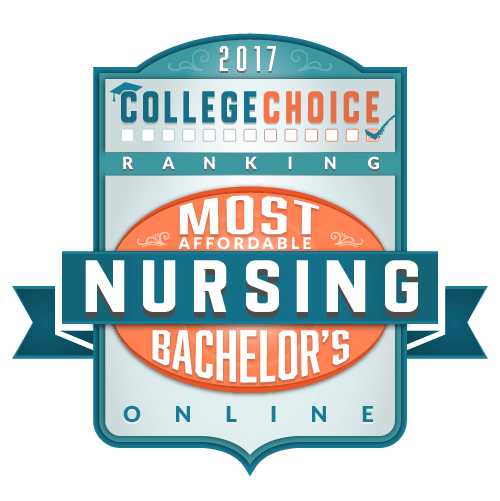 Recognize that priority ranking will be given to students who have successfully completed all non-nursing courses applied toward the BSN degree. Have a minimum 2.85 GPA (Grade Point Average) in NSCCs. The GPA for admission to the department will be calculated based on NSCCs completed at the time of application. All Science NSCCs ever taken will be included in the calculation of the GPA at the time of application. NSCCs and courses applied towards the BSN degree must be completed with a C or better. Students with Ds or Fs in these courses will not be admitted. Students repeating an NSCC more than three times will not be accepted into the program. Submit a TEAS score of 75% or greater. Students will have to allow two weeks minimum between attempts of the TEAS. All TEAS scores must be submitted by the application deadline. Hepatitis B and flu vaccinations, TB screening, and current American Heart Association Basic Life Support for Healthcare Providers certification will be required. To comply with mandates from clinical agencies, students must have a background check, driving history check, child maltreatment check, long-term care check, and urine drug screen yearly at the expense of the student. Online applications and deadlines for applications to the program are located on the nursing website. More information may be obtained by calling the Department of Nursing Administrative Assistant at (870) 235-4331. OR delivered to Wharton Nursing Building, room 201A. The Department of Nursing at Southern Arkansas University supports the mission statement, goals, and objectives of the University. The Department of Nursing is committed to demonstrating our core values by providing students with opportunities for intellectual growth through cultivating compassion, communication, and skill development for career preparation in a global environment. We strive to meet regional health care needs by preparing graduates who demonstrate basic competency as health care providers. Students will be initially ranked by grade point average in the NSCC, TEAS scores, and number of NSCC hours completed on SAU campus. If more than one student has the same grade point average in the NSCC and TEAS score, students will be randomly ranked. Students who are not initially selected or who submit a late application will be placed on a waiting list. Placement on the waiting list will be in order of grade point average in the NSCCs. Spaces, which become available prior to the beginning of the semester, will be filled from the waiting list. Students not admitted from the waiting list must re-apply. Please note the Department of Nursing application deadlines. Transfer requests are considered on an individual basis. Students previously enrolled in another nursing program must forward a letter requesting transfer, submit a BSN Transfer Nursing Student application, and attach copies of all unofficial college transcripts. Students who are requesting transfer from another nursing program are also required to provide a letter from the program dean/chair/director of eligibility to re-enter their previous nursing program in order to be eligible for consideration in the SAU nursing program. If a student has failed a nursing course, the request for transfer is classified as an academic reentry request, and reentry policies apply. If a student has failed more than one nursing course they are not eligible for consideration for entry into the SAU nursing program. Transfer equivalency information for Nursing Science Core Courses can be accessed through SAU admissions. 1. Synthesize knowledge from the sciences, the humanities, social sciences, and nursing as the foundation for decision-making for professional nursing practice. 2. Apply leadership principles when managing safe, quality nursing care for diverse populations. 3. Integrate evidence-based practice, critical thinking, and clinical judgment in the delivery of patient-centered care. 4. Facilitate safe, quality nursing care utilizing an innovative range of technologies. 5. Demonstrate knowledge of healthcare policy, regulatory environments and their effect on patient care quality, workplace safety and professional nursing practice. 6. Employ collaborative communication to deliver evidence-based, patient-centered care. 7. Facilitate safe, holistic patient centered care using evidence-based practice to promote and maintain health. 8. Demonstrate patient-centered care using a framework of legal, ethical, and professional standards accepting responsibility and accountability for professional nursing practice decisions and lifelong learning. 9. Apply nursing care based on evidence that contributes to safe and high quality patient outcomes in a variety of healthcare environments.